Four sketchbooks in 10 years, which is almost all of the published work by Travis Charest. These sketchbooks include everything from cover work to commissions, original pencils, sketches and everything you could think of. If you are (were?) a fan of Travis Charest's art and you haven't checked these out, you owe it to yourself to do so. Most of them can be found for very reasonable prices and are, in my opinion, some of the best self-published sketchbooks out there (and by self-published I mean that they are not the hardcover sketchbooks that have become the norm lately). Odds ‘n Ends appears rarely on the bay and when it does, it goes between $50-100. 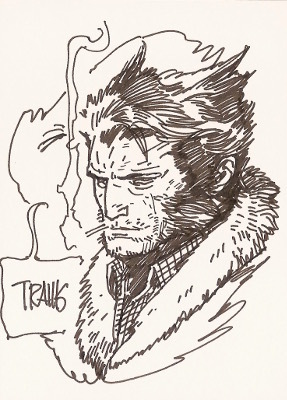 After the con season was over in 2013, Travis offered a limited package of the sketchbook plus a trading card sized sketch thrown in for free. The book has sold for $75 and $150 in the last couple of months. The other two (and the 2013 sketchbook without the sketch card) go for around $40, which still is double their original price. In any case, a fantastic artbook to have for all lovers of good art out there, and an investment that can only go up in price. 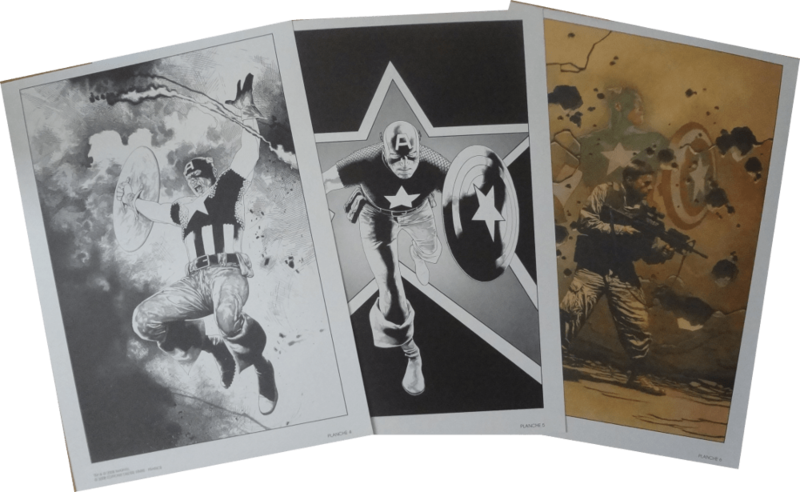 BONUS: A quick look at the Captain America portfolio featuring the 6 covers he did for the Captain America: The Chosen limited series. 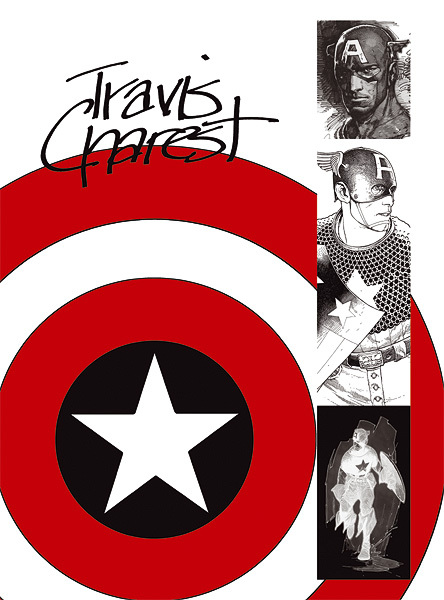 Legend has it that Travis wasn't entirely happy with the colors of the 5 first covers so he decided to color the cover of the last issue himself. That's the reason why they are printed in black and white. 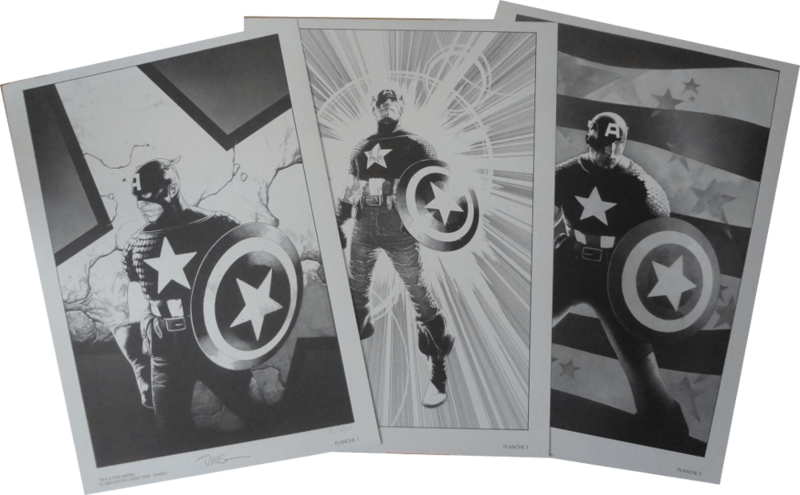 The portfolio had a print run of 600 signed and numbered copies, 10 of them being a deluxe edition which came with a Captain America sketch. It was published by French portfolio publisher Editions Déesse back in 2008. Unfortunately, they are legally unable to distribute it outside of France.